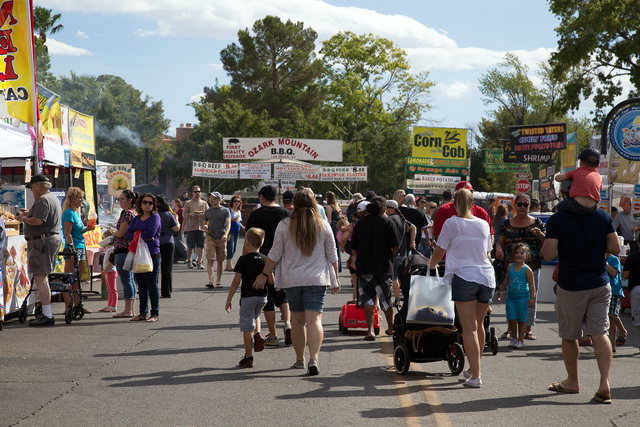 1 FUN RAISER: The 54th annual Art in the Park festival will be held from 9 a.m. to 5 p.m. Saturday and Sunday in Wilbur Square, Bicentennial and Escalante parks. The juried art show serves as a fundraiser for the Boulder City Hospital Foundation and attracts hundreds of fine art and craft purveyors and more than 100,000 people each year. There will be more than 20 vendors offering unique food and beverages as well as live art demonstrations and music. For more information, visit http://bchcares.org/foundation/art-in-the-park/. Courtesy photo The 54th annual Art in the Park will bring nearly 350 unique vendors and over 100,000 attendees to downtown Boulder City between Saturday and Sunday for one of the Southwest's largest outdoor juried art shows. 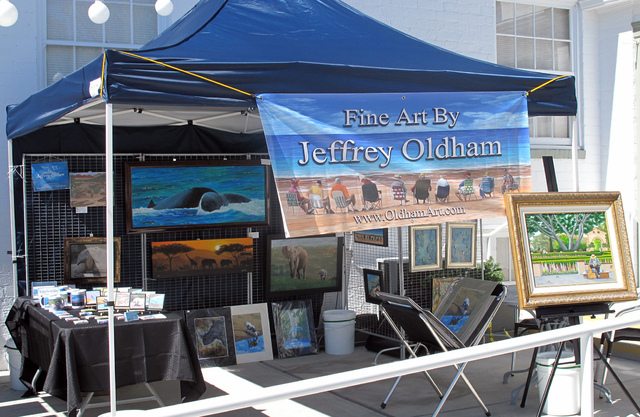 Courtesy photo The Boulder City Art Guild will hold its annual Art on the Patio event from 10 a.m. to 10 p.m. Saturday and Sunday outside the historic Boulder Dam Hotel. There will be complimentary refreshments, live art demonstrations and appearances by guild artists. Hunter Terry/Boulder City Review The Southern Nevada Railway Museum will start boarding guests at 5:15 p.m. Saturday for two hours of riding down the tracks and dancing in the aisles to classic oldies, during the "Soul Train" party. 2 ART ON THE PATIO: The Boulder City Art Guild will host its an Art on the Patio show from 10 a.m. to 10 p.m. Saturday and Sunday in front of the historic Boulder Dam Hotel, 1305 Arizona St. There will be live art demonstrations, live entertainment and complimentary refreshments in addition to works and appearances by guild artists. For more information, visit www.BoulderCityArtGuild.com or call 702-293-2138. 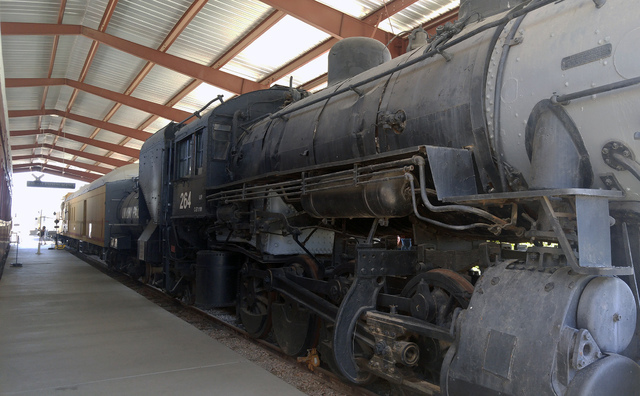 3 SOUL RIDE: The Southern Nevada Railway Museum will host a Soul Train event Saturday. The evening train ride is an adults-only party that will feature DJ Queen B playing hits from the last four decades of the 20th century during a two-hour ride. There will be snacks and refreshments on board, and tickets ($25 if purchased today, $30 if purchased Friday or Saturday) are limited to ensure room for dancing in the aisles throughout the cars. The train boards for the event at 5:15 p.m. and the ride will depart at 5:30. For more information, call 702-283-6895.